Using Amazon Apps on Android telephones has revolutionized the marketing of products through smart phones. Now the bar has been raised even higher. With the apps now being offered by Amazon, one-stop shopping, comparison shopping, and protection of music, videos and pictures are all in the palm of your hand. The new Android phones have the capability of handling these apps and making your shopping experience more efficient, it is also more convenient and flexible. Store hours, traffic jams and finding that the item you wanted was sold out at your favorite store are all things that will soon be history thanks to the new Amazon Apps. The following list provides an overview of just what can be done with an Android phone loaded with Amazon Apps. The results are very impressive. Amazon is also marketing its own telephone, complete with its apps and other features that are very impressive. More details about the new phone will be discussed later. Book shopping is easy. Besides the free books, there are many other books, including the New York Times Best Sellers. The app features a built-in dictionary, so you only have to tap a word in your e-book to find its meaning. There are links to get more information. You also get to sample a book before you buy, as the app lets you read the first chapter of any book before making the purchase. 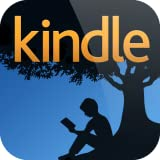 The Kindle app allows you to sync your e-books with other devices beginning with the last page you bookmarked in your Kindle. Thus, you can read a portion of the book on several different devices. The Amazon App gives customers the ability to browse and shop by department. Virtually, anything you can do on the Amazon website, you can do on your Android telephone with the Amazon Apps. With the Price Check App from Amazon a person can scan a barcode, take a picture or say the name of the item and instantly check prices on millions of Amazon products. The customer can then buy it directly through the app. The app allows you to go to stores like Walmart and Target, scan the barcodes and then compare the prices, selection and availability of the desired product between the local stores and Amazon. This app gives the consumer the ability to be not just a smart shopper, but an extra-smart shopper. The app allows users to get the features and value they want in a product for the best price possible. To make the in-store price comparison even better, Amazon is introducing a new price sharing feature. This feature is designed to make certain that Amazon prices remain competitive for its customers. Once you have completed your comparison through the barcode, picture or description method, you can then make your purchase right from the phone. If you want to think about it, you can add the item to your Amazon Wish List. With this app, your favorite music goes where you go. By using this app, you can listen to your music collection on your Android device or iPhone anywhere you are. You can also download or stream your music library from the Cloud, as well as play the music already on your device. Stream your music from the Cloud. Download locally to enjoy music offline without the need for a Wi-Fi or mobile network. 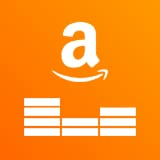 Use the App to listen to music in your Amazon Music library on your Kindle Fire, PC, Mac and other devices. You can also pay your music on the iPhone, iPad and IPad Torch. Finally, there is an added feature that the Amazon Music App provides. As of June 12th Amazon Prime Music is available for Prime members in the U.S. There is no extra cost for the Prime members who currently pay $99 a year for fast shipping, streaming video and e-books. Prime music has about one million songs that have been on the market for at least six months. Now it is easy to protect and enjoy your photos and personal videos. You can store your memories on your phone or tablet with five gigabytes free. Photos and videos are saved to the Cloud automatically, so there is no fear of ever losing them, even if your devices are misplaced or damaged. You can also install the Cloud Drive on your home computer so that you can have your entire collection in one place. Five gigabytes free, which makes it easy to get started protecting your memories. Photos and personal videos (up to 20 minutes in length) are automatically sent to the Cloud Drive, when the auto save featured is activated. Uploading individual photos, personal videos and entire albums is easy. You can use your phone, tablet or computer to retrieve the photos. You can also share your Cloud drive photos using apps on the Amazon phone such s Facebook and email. With this app, Amazon Instant Video gives you access to more than 140,000 titles, including recently released movies and in-season TV episodes to rent or purchased. The purchased items will appear in your Video Library for viewing at your convenience. In addition, members of Amazon Prime can watch thousands of videos and TV Shows at no additional cost to their membership – Amazon Prime. There are limitations regarding which devices this App will support. Devices like Blue Ray players are not compatible. However, the videos will work with Amazon Instant Video service via the Amazon website. The new Amazon Fire Phone supports the apps listed above and has a few other features that will enhance the shopping experience. The Amazon Fire Phone is just one of the many products that Amazon is offering consumers to enhance the shopping experience. The phone contains image, text and audio recognition technology to help scan and identify books, songs, movies and other items. The phone features a dedicated button for one-step shopping. The phone can only be purchased through Amazon at a price comparable to other smartphones. It operates over the AT&T network. Persons purchasing the phone get a year’s subscription at no cost to Amazon Prime, which provides free shipping for most products. Amazon.Com has come a long way since the early days of the Internet. Books, movies, garden tools, clothes, appliances, computers, and almost anything you could want are available through Amazon.Com. Whether this phone increases the Amazon share of the retail market will depend on how many people want to look and hold an object before purchasing it. Furthermore, Amazon has not revealed if the phone can be used to make purchases from other online vendors. The movies and shows can be seen anywhere and anytime. The service is available through Prime Instant Video that can be accessed through the new Fire Phone or Firefly as it is being called. The video feature is just one of the many advances being offered by Amazon, aimed at meeting the customer needs in all areas. However, with the Apps that are currently available, the customer has considerable buying capabilities in their current Android telephones and other Android devices. Amazon has raised the bar in customer service by combining many of its services into one central point. Amazon Apps on the Android phone was a major step forward. The announcement that Amazon was marking its own Android based smartphone with instant links, and other features have moved the bar for other online retailers to meet.